I've had a really hard time not telling you guys about this until now! 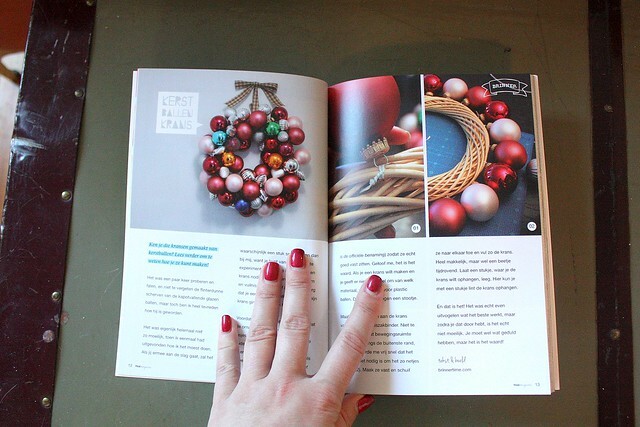 My DIY vintage ornament wreath tutorial has been published in the Dutch craft magazine Maak Magazine! Woohoo! The ladies behind the magazine sent me the page layout before and said I could share it, but I really wanted to wait until I had the actual magazine in my hands. I'm glad I did. 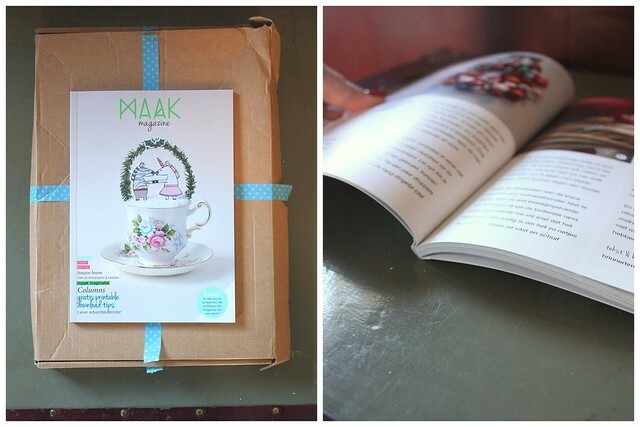 The magazine is totally amazing! The quality of the magazine is so nice, even the paper feels great! And there's just so much cool stuff in it. I don't speak Dutch and understand only a little bit, so I can't follow the instructions written instructions. The photos, however, are amazing and give you a really good idea what the text says. I should mention that there are goodies that come with it... I was expecting maybe a postcard or a couple of stickers, but I was pleasantly surprised when I saw all this additional stuff! Many things were Christmas and New Years related, since this was the holiday edition, but there's a bunch of all-season goodies too! 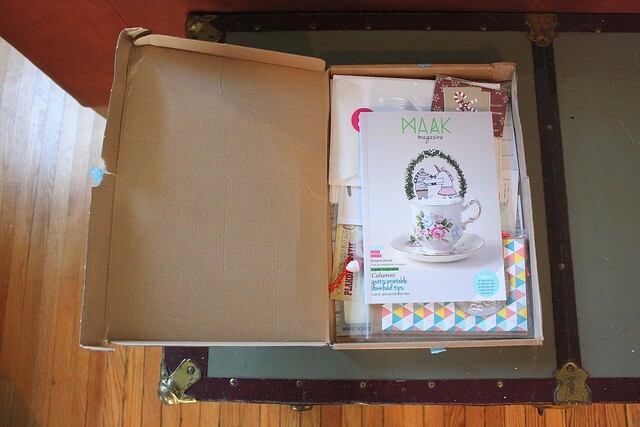 I did order a few other things as well, but I removed those from the box prior to taking the photo. All the other things are extra stationery surprises included with my order. Please note that this is not a paid ad! I am super-excited to have my tutorial published, but I paid for a copy of the magazine myself. So, yeah, it's really that good!